Giant Eagle Inc. is the chain of supermarket stores in America that operates stores in different states like Pennsylvania, Maryland, Ohio and West Virginia as well. Journey of this worldwide popular company started in the year of 1918 and its headquarter was established in Pittsburgh, Pennsylvania. The company was incorporated in 17th of March, year 1933. The Supermarket News in America, an organization that monitors development of different supermarket chains, ranked this organization at number 21. In the year 2005, the company has been regarded as the 32nd (largest) privately owned corporation in America and Forbes has determined this honor. 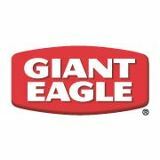 There are currently 7 consumer reviews about Giant Eagle, Inc available. Share your review. Couple of complaints! Why is it that just when you find something that you like at Giant Eagle they decide.tomstop carrying it? Week after week I have to leave GE and go to Kroger to pick up the items that they stopped carrying! Today I went to GE to get my groceries and to pick up a pre-paid Visa for my God sons birthday. Upon checking out I am informed that I can not use my bank debit card to pay for the gift card. WTF? Did they really expect me to leave the store, go to the bank and withdrawal $200 and then come back? Your debit card is a direct link to your checking account! Why is my debit card good enough to use for my groceries? Fuel perks or not I am spending more and more time at Kroger buying groceries and gift cards! I think I may save my gas and just go straight to kroger! There gas stations in the city gouge you , they are always over priced up to 10 cent 40th and butler street being the worst! The store prices are outrageous for what they pay there employees. It's a wonder they are still in business, it has to be a lack of competition . The only thing they do well is offer a wide variety. Around 2:45 pm I almost pass away eating Chicken Creamy Salad coming from your Dely section, if was that a friend was at home i could pass away chocked with two bones found in one bite of the salad. i went to store located over Broad Street - Reynoldsburg, to file a report. they say somebody will contact me. I have the evidence and witness. Should i call my attorney or somebody is going to contact me. I have no insurance but sharp pain in my throat thanks your products. Please contact me: llonglorena@yahoo.com a.s.a.p. or tell me if I must go to my attorney. If you want a picture of evidence, let me know. i contacted corporate about a problem that I had. I was told that I would receive a phone call within 48. Well it's been almost 2 weeks and I have not been contacted by anyone. Poor customer service! the discrimination against the united states citizen at fresh foods is amazing. Please take a note that you are about to post a public review about Giant Eagle, Inc corporate office on CorporateOffice.com. This review will be public, so please do not post any of your personal information on this website. If you would like to contact the corporate offices of Giant Eagle, Inc, please use their contact information such as their phone number, website, and address listed above to contact them. However, sometimes staff from Giant Eagle, Inc headquarters do read the reviews on this website.